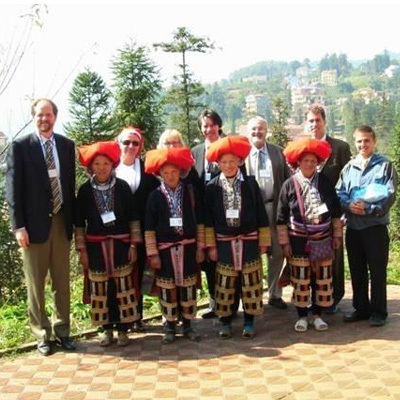 This project builds from the previous successful community based tourism training project completed in the village of Ta Phin and Ta Van in Sapa, Vietnam which has enabled the community to manage the impact of tourist visitation that was imminent related to the increased appeal of the Sapa region for nature and cultural tourism. The villages of Ta Phin and Lao Chai are now the focus with local women and youth the key focus groups. The training is conducted by Capilano University (North Vancouver, BC, Canada) in partnership withHanoi Open University (HOU), Vietnam. The objective is to provide practical tourism training as a way to assist rural and remote communities in developing countries to reduce poverty, improve their quality of life and help provide sustainable, authentic, cultural and nature-based experiences for visitors to their communities. The project is now nearing completion and already the vast majority of learning outcomes and project objectives have been reached or exceeded. Tourism professionals and community leaders have emerged in the villages. They are producing self-led developments, developing their businesses, and creating plans for new tourism ventures in accommodation and food and beverage. Over enthusiastic street selling has been calmed and market initiatives are underway. For further information about the project please visit: www.cbtvietnam.com, “Like us” on Facebook, follow us on Twitter, or visit our CBT Vietnam Blog.